Government surveillance no longer targets individuals, but entire populations, former CIA contractor Edward Snowden has said. The whistleblower appeared via video link in a Toronto debate over the NSA intelligence gathering programs. 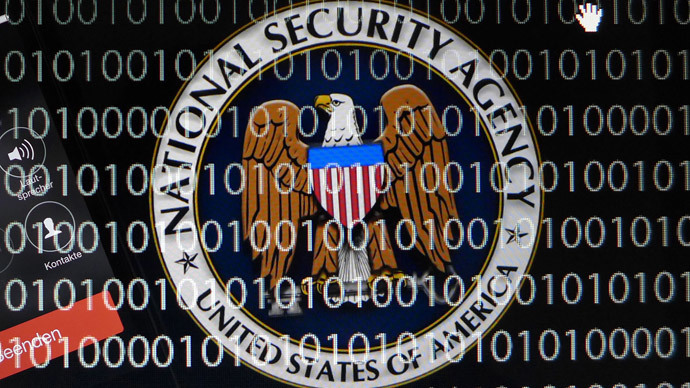 "It's no longer based on the traditional practice of targeted taps based on some individual suspicion of wrongdoing," Snowden said in the brief video. "It covers phone calls, emails, texts, search history, what you buy, who your friends are, where you go, who you love." 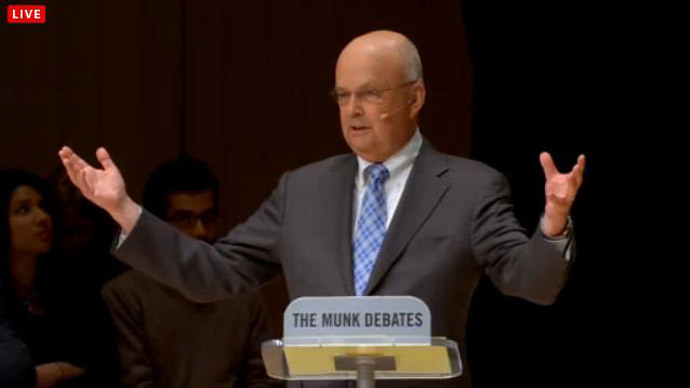 Snowden’s video link was screened during a Munk debate in Toronto, where former US National Security Administration director General Michael Hayden and Harvard law Professor Alan Dershowitz went head to head with Glen Greenwald and Reddit co-founder Alexis Ohanian over government surveillance. Greenwald, who worked with Snowden publishing the classified material he leaked on the NSA, argued that governments should use targeted surveillance, not the indiscriminate, dragnet method currently in use. Hayden and Dershowitz, however, stuck to the American government stance, maintaining that surveillance is necessary to ensure national security. 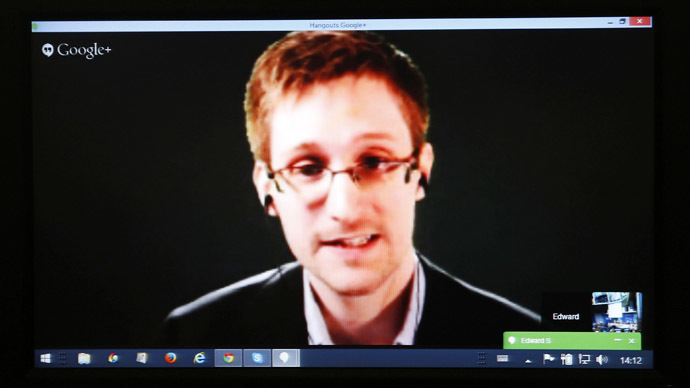 Snowden addressed the debate from Russia, where he is currently residing after being granted temporary political asylum in the country in June of last year. The whistleblower was forced to stay in Russia after Washington issued an extradition order against him and charged him under the Espionage Act. Since Snowden’s security links revealed the NSA targets millions of citizens as well as foreign governments with its surveillance, world leaders have leveled criticism at Washington. 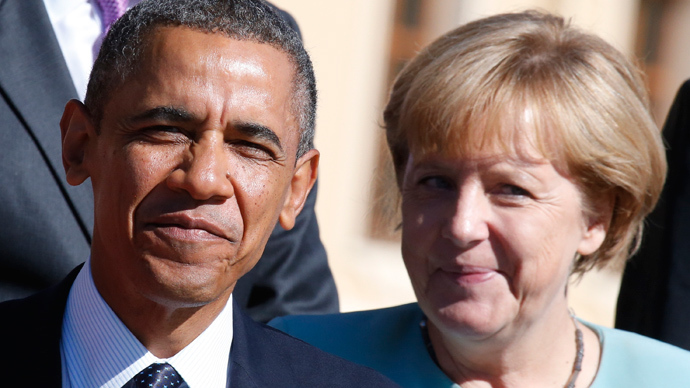 German Chancellor Angela Merkel visited the White House on Friday for the first time since she discovered her personal communications were being targeted by the NSA last year. The revelations initially triggered firebrand rhetoric from the German leader, who likened the agency to the Stasi secret police of East Germany. This latest visit saw Merkel adopt a more tentative stance to the issue and said that “under present conditions” the US and Germany have “differences in opinion” to overcome. Washington claims it has made some changes to its domestic and international espionage policies following the Snowden revelations. “Domestically, we tried to provide additional assurances to the American people that their privacy is protected. But what I've also done is taken the unprecedented step of ordering our intelligence community to take the privacy interests of non US persons into account in everything that they do,” said Obama on Friday.